This article appeared in Accounting and Financial Planning for Law Firms, an ALM/Law Journal Newsletters publication covering all financial aspects of managing law firms, including: building a law firm budget; rates and rate arrangements with clients; coordinating benefits for law firm partners; and the newest strategies to grow your firm and your career. But is this so? Will law firms really change the way they do business? 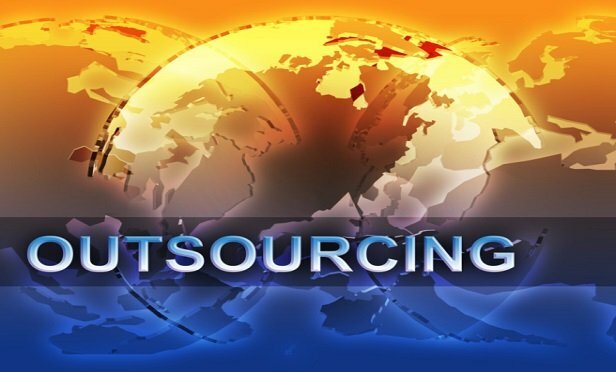 What types of functions can be successfully outsourced and what are the critical processes a firm must go through to validate that outsourcing is indeed the solution to their problems? And, while we are in the analysis mode, is there an alternative to outsourcing that provides many of the benefits of outsourcing but in an environment that more closely aligns with a law firm’s culture? This article explores these and other critical questions and analysis that a law firm’s management should consider before committing to any outsourcing effort. Outsourcing, no matter what some vendors and consultants say, is not new. Law firms have been outsourcing certain functions for years, if not decades. It started with the external messengers that most law firms employed in the 1970s. A few forward-thinking outside messenger services that handled overflow from law firms began to place their employees on the premises of law firms. By placing messengers on site these firms provided improved service to their customers and gave themselves a leg up on the competition. By the beginning of the 1980s, law firms were not only outsourcing their external messengers they were outsourcing their internal ones as well. Food service workers and reprographic employees soon followed. Today, few of the Am Law 100 firms have these types of employees on their direct payrolls. Most of these categories of employees are supplied to law firms by a few national vendors. These vendors provide the law firms with qualified employees, management expertise, promotional opportunities (to the outsourced workers) and replacement workers for sick or vacationing staff at a cost that law firms generally cannot match. What is new in law firm outsourcing is that functions that used to be considered core services have been successfully outsourced. Accounting and financial management, IT support and development, document processing and library research have all been successfully outsourced. Initially, cost reduction and quality improvement were the principal reasons that law firms considered outsourcing. After 9/11, data security and business continuity became important considerations as well. Today, with the exception of the Managing Attorney function and new client/matter intake, there are few administrative activities that cannot be outsourced to independent vendors. All the other functions can (and have been) outsourced. It is interesting to note that in any firm with branch offices, for all the attorneys in those branch offices, most (if not all) the administrative services are already “outsourced.” The attorneys and staff in those offices already call on an off-site individual to help them with their billing, straighten out a benefits problem or correct a computer glitch. In order to determine which functions stay and which can be outsourced, a firm needs a thorough and complete understanding of its internal processes and procedures, its technology platform, and its cost structure. Reduce the overall cost of providing administrative services. Whatever the reason, an outsourcing decision begins with the preparation of the “Business Case” for outsourcing. Typically, the Business Case will identify the function(s) to be outsourced, the current, all-inclusive, cost of performing those functions, detailed process flows of how the current “As Is” state functions, and the cost that a vendor has bid to outsource the functions under consideration and their proposed “To Be” process. What are the functions within your firm that are a perennial source of complaints for quality and/or service levels? What are the functions within you firm that have very high turnover (25 percent or more per year) for which you are constantly recruiting staff? Are you facing a significant cash outlay associated with a software/ hardware upgrade or office relocation? Are the salary costs within functions growing faster than the firm’s revenue? If the same function(s) or department(s) repeatedly came up in response to the above questions then you have some good candidates for a business case for outsourcing. In my experience, large clerical areas, such as accounting department transaction processing, technology support, word processing and research functions, are all excellent candidates for outsourcing. Once you have your outsourcing targets, the true cost to your firm needs to be documented. In addition to the obvious (salary, benefits and space), prospective outsourcers should identify ancillary costs that are often overlooked and can be quite considerable. There are hidden costs associated with every function in a law firm and it is critical to the success of your analysis that you identify and quantify as many of them as possible. As an example, if you were to outsource the accounting function, what impact would that have on the size of your IT support group? Your hardware and software maintenance costs? What would be the impact on the size of the HR department who will now have to hire and support fewer employees? How will the annual Microsoft update be handled and at what cost? Firms contemplating outsourcing must also document how their current processes (to be outsourced) actually work. This is important for two reasons. First, the documentation will enable a firm to analyze current operations and design the new processing environment. Even in functions that are outsourced, most firms will probably want to keep certain critical activities within the firm. As an example, clients who have outsourced the accounting function have maintained analytical and billing capabilities in-house. Second, documenting current processes allows a firm to be better able to review and analyze a vendor’s proposed processing operations to ensure that it meets all of your firm’s requirements. During this documentation process you can also begin to identify those service standards that are critical to your operations and around which future service level agreements (SLAs) will be developed. A firm needs to ensure that its process flows, procedure manuals and other sources of documentation are complete and up-to-date. Once current processing flows have been documented, activities to be kept in-house and critical processing times and quality levels are identified, you are prepared to meet with vendors and discuss your outsourcing requirements. Most firms solicit bids from one or two vendors that provide outsourcing services and compare the proposals in terms of service levels offered, technology deployed, and proposed “To Be” costs to the existing “As Is” situation that was previously documented. The resulting analysis will become the firm’s Business Case for outsourcing. It will identify the areas to be outsourced, the costs associated with providing those services, and the service to be provided. The Business Case can then be reviewed by firm management and an informed decision to outsource made. Once a decision to outsource is made, the work really begins. Firms will be undertaking an enormous project management task with hundreds of critical time-sensitive and interrelated decisions. At a minimum, an outsourcing project will require a task force of in-house staff capable of devoting a substantial amount of time to the project. In the largest law firm outsourcing examples, outside consultants played a critical role in the success of the projects by supplementing the work of the firm’s staff. A final consideration for anyone considering outsourcing is the how to treat the staff whose positions are being eliminated. Because outsourcing entails the movement of jobs to another location and the displacement of current employees, provisions for keeping those employees (and their knowledge of processes and procedures) through the transition must be made. Consideration of employment bonuses paid both during and at the completion of the transition should be made. During the transition process, a firm must also explain why the decision to outsource was made and to reassure remaining employees that the staff whose positions were eliminated were treated fairly and with dignity. Outsourcing is a viable way for some firms to achieve their goals of improved service, reduced costs and technology upgrades. But is it the only way? The answer to that question is, “It depends.” If you want to upgrade your service levels and remove many of the administrative burdens associated with managing large groups of technical and clerical employees, then outsourcing is the answer. However, if your firm’s objectives are to achieve significant cost savings, improve service levels but maintain control of its data and staff, there is another way: The Shared Service Center (SSC). The SSC looks and operates much like an outsourcer. The difference is that while the positions are moved to a separate geographic location, the staff remain employees of the firm. SSCs (like outsourcing) began in private industry and have spread to the professional services area of the economy. They offer many of the quality and service level improvement benefits that can be provided by outsourcers but cannot achieve the same level of the cost savings. The primary difference in cost savings comes from the necessity to provide comparable benefits levels to the SSC employees that are provided to the rest of the firm’s employees. All of the other cost savings (rent, utilities, labor rates and tax incentives) are usually available through the SSC environment. A firm does not necessarily have to decide up front which path (outsourcing or SSC) it will take. Indeed, the development of the business case may provide the critical information about a firm’s culture and risk tolerance that will enable it to decide. A client that I worked with actually prepared analysis of both scenarios (outsourcing and SSC) and included them in the business case to better enable management to decide. In the future, I believe that outsourcing (third-party vendors or SSC environments) of administrative tasks within law firms will continue to grow. Currently, most of the top 25 AmLaw 100 firms have outsourced their back office; some to outsourcers but most to SSCs. As the economic demands from clients continue, more and more law firms will have to adopt the outsourcing model. Those firms that succeed in their efforts will have gained a significant competitive advantage. The question is: Will your firm be one of them? Mark Santiago is a member of the Board of Editors of Accounting and Financial Planning for Law Firms and a certified Management Consultant (CMC). He is The Managing Partner of SB2 Consultants headquartered in New York City. While a partner at Deloitte & Touche, he led the two largest law firm administrative outsourcing projects in the United States. He is a frequent speaker and author and was the Chairman of the Am Law CFO conferences for 11 years. He was also one of the three originators of LegalTech in 1981 and a member of its Board of Advisors. Being an effective GC requires more than being a skilled lawyer. It takes business savvy.